Chinese New Year is an important Chinese festival celebrated at the turn of the Chinese calendar. In China, it is also known as the Spring Festival, the literal translation of the modern Chinese name. Chinese New Year celebrations traditionally run from Chinese New Year’s Eve, the last day of the last month of the Chinese calendar, to the Lantern Festival on the 15th day of the first month, making the festival the longest in the Chinese calendar. 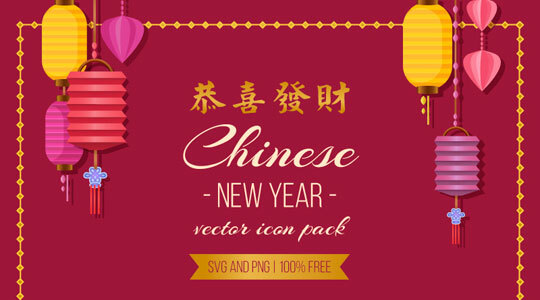 So for this special day our friends from Freepik shares today on Designbeep with all our readers a complete pack that includes an amazing variety of Chinese New Year Vector Icon Pack in 2 formats – SVG , PNG.